This magnificent Byzantine church turned Ottoman mosque was made a museum in 1935 by Kemal Ataturk, the father of the Turkish Republic. 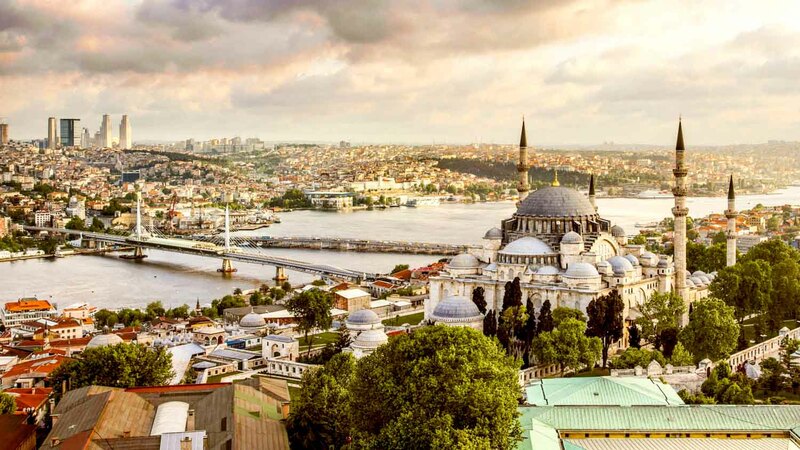 It's one of Istanbul's proudest icons, so here are five things that shaped this showcase of Christian and Islamic Empires. The grand church was converted to a mosque after the Ottoman conquest in 1453. However, the site has also been home to two previous churches and a Pagan temple! Justinian I strained the breadth of his Empire to have the Hagia Sophia built in 537. On its completion he's said to have proudly boasted, "Oh Solomon, I have surpassed thee!" Not making it to Jerusalem, the Venetian-led Fourth Crusaders instead took Constantinople. Saint Mark's Basilica in Venice still houses many of the spoils! It's taken one hell of a beating! 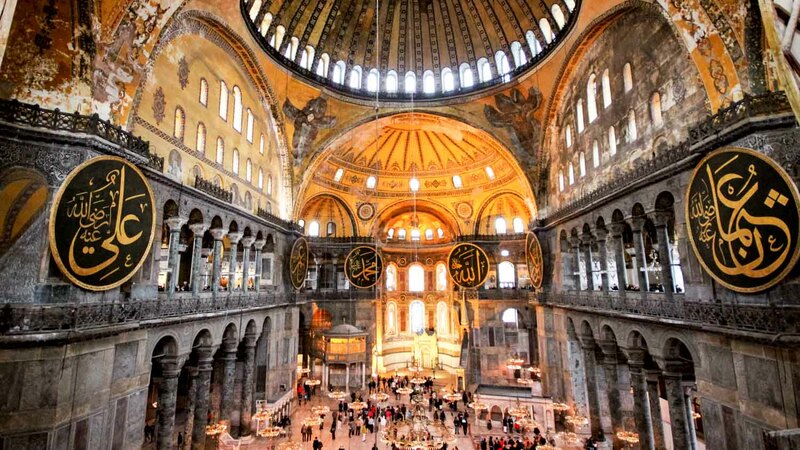 As well as being sacked in the Fourth Crusade, the Hagia Sophia's heavy dome has collapsed several times due to earthquakes. It wasn't completely stabilized until 1859! 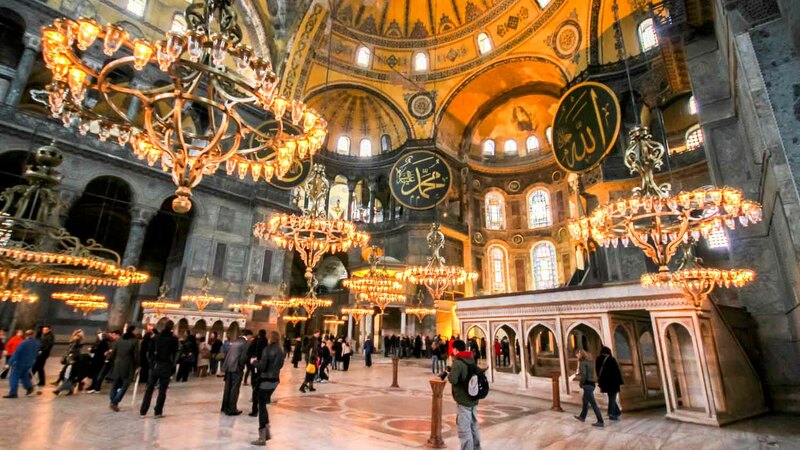 The Hagia Sophia became a mosque in 1453, when the Ottomans seized Constantinople. Its many alterations included the erection of minarets and the purging of Christian iconography. 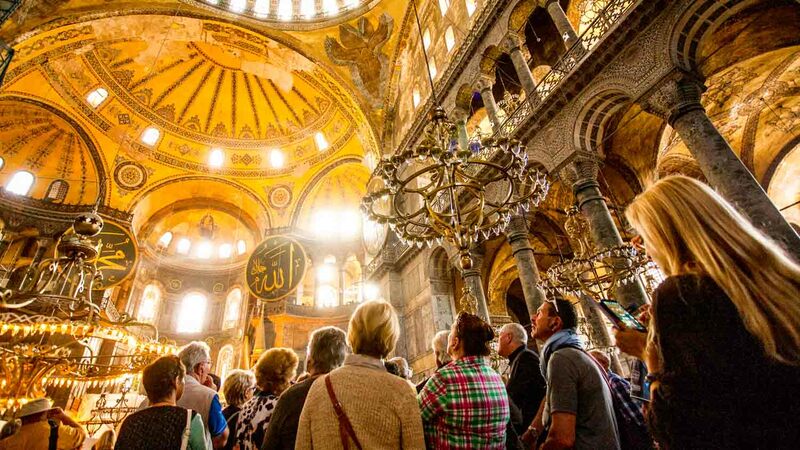 You can visit the Hagia Sophia between the hours of 9:00AM and 7:00PM from April 15th to September 31st, and between 9:00AM and 5:00PM from October 1st to April 14th. It is closed in the early days of Ramadan and Eid al-Adha. Book tickets in advance to avoid the queues! 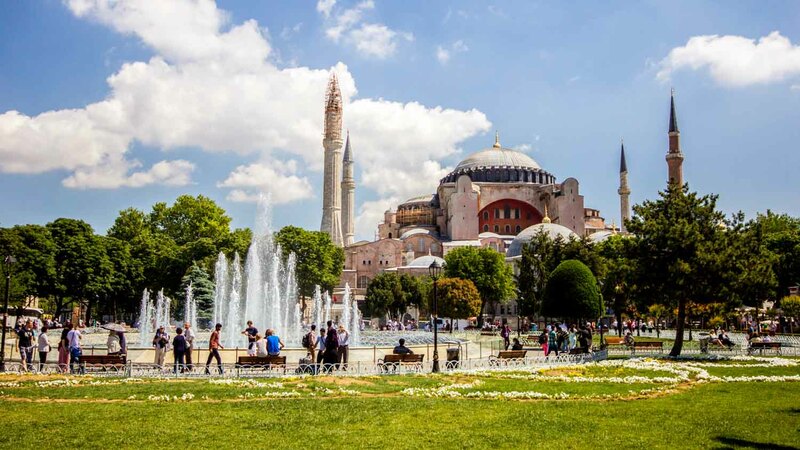 The Hagia Sophia is just a short walk from the Sultanahment metro and tram stops. Close to many of Istanbul's historic attractions, it's also covered on most city walking tours! 9:00AM to 5:00PM in the winter, 9:00AM to 7:00PM in the summer. Check holiday schedules to avoid closures. The ticket price is 30 TRY, which is roughly $11. Take the metro or tram to the Sultanahment stop. Book tickets in advance to avoid the queues!